When I first decided to create a kayak made from aerospace waste materials and compete in the gruelling Devizes to Westminster Canoe Race, I realised that the risks were high – I honestly didn’t know if it would be possible to create a high performance kayak out of recycled materials, what the boat would be like, or whether it would sink before we got half way! Currently I lead a multi-centre research project funded by the EPSRC called EXHUME. This is looking to develop a process to recycle fibre-reinforced composite waste materials. At the moment it is difficult to recycle these materials, with large amounts of waste going to landfill. I was keen to create a demonstrator product that would show people that recycled carbon fibre can be put to good use, and that the process we have developed in the lab could be used to create a robust end-product. So I looked to one of my hobbies – kayaking – for inspiration. My thinking was; if I could create a racing kayak out of recycled composites, and then take part in the International Devizes to Westminster Canoe Race, my theories would be put to the ultimate test. Together with teammate Professor Liam Grover from the University of Birmingham, we have successfully completed the race twice before, so were confident in our ability to take part in the gruelling race – 125 miles and 22 hours of non-stop paddling. In previous attempts the race was as hard on the boat as it was for us – we’ve lost five rudders, cracked the hull of one boat, broke a foot rest in another and had to constantly repair the kayaks as we went along! This seemed like the perfect test for a kayak made from reclaimed fibre. In order to make our racing kayak, we worked with British-based kayak manufacturer Kirton Kayaks. Carbon fibre composites are used in the manufacture of racing kayaks as they provide excellent mechanical properties with minimal weight. They have to able to cope with the pressures from large volumes of liquid, yet still retain their strength. Kirton Kayaks were excited to produce a boat using an experimental material, and to help us make our dream become a reality. We took high grade carbon fibre waste from the aerospace industry, and treated it in the lab using a process called solvolysis. This took longer than I had anticipated, but day by day the amount of recycled fibres grew, until we had sufficient material to build the kayak. Kirton had to adapt their normal kayak manufacturing process after earlier test samples we provided flagged up some issues, which further delayed the creation of our demonstrator, and in the end the boat was ready just three days before the race! I was delighted with the result – the boat looked fabulous – the material it was made from was light, extremely strong and hardwearing and only 2-3 mm thick. The only drawback was that since it was made from aerospace waste in was a bit heavier than a normal racing kayak. So much for the preparations of the boat – what about the human side of the endeavour? In the months running up to the race, we trained hard to physically prepare ourselves. We paddled several times a week, and at the weekends did longer sessions that built up our stamina. We work well together as a team, overcoming problems such as Liam being hospitalised after he banged his head on a low bridge! We were confident we were ready to demonstrate that high performance sporting goods could be made from recycled composites. However, what we couldn’t have factored into our equations was typical British bank holiday weather – as we set off from Devizes on Easter Saturday, the storm clouds were gathering and by half-way through a freezing and dismal night, storm Katie had arrived. We were certainly put through our paces, and after 85 miles and over 16 hours paddling, we were forced to withdraw as Liam had hurt his back. 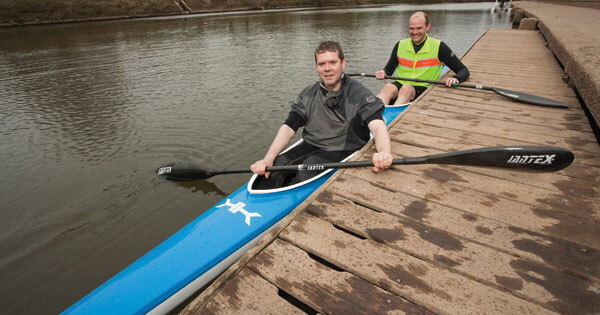 The kayak had performed impeccably despite the challenging conditions – it was as good as new. It will now be used as a demonstrator at events and exhibitions. The humans are healing up well and when they can bring themselves to sit back in a kayak we will start making plans to complete the race next Easter – in the same boat! This blog was originally posted on the EPSRC blog. 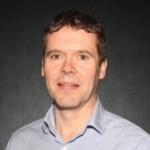 Professor Gary Leeke is Head of the Bioenergy and Resource Management Centre at Cranfield University. His research interests lie in the areas of sustainable carbon processing and resource efficiency. 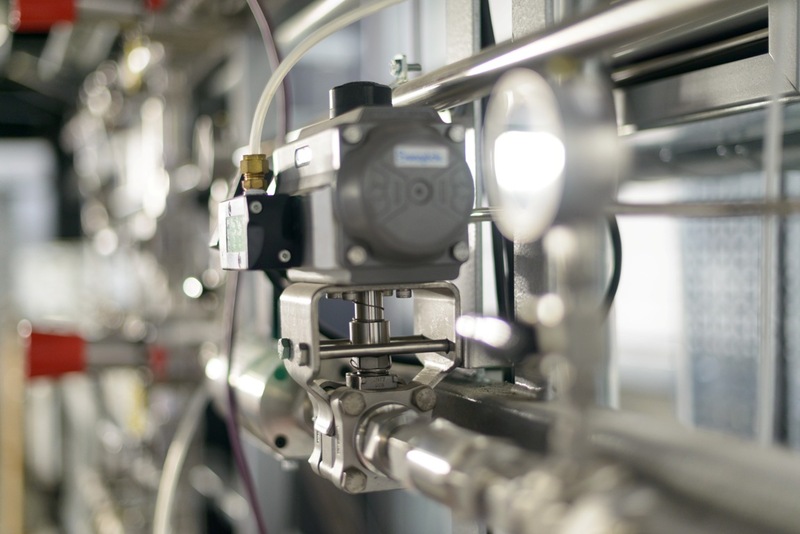 He has interests in high pressure engineering and thermo-chemical processing, specifically in reaction engineering, flow reactors, polymer and composite processing, rapid crystallisation, waste and the circular economy.